Construction, Agriculture and Industrial Radiator repair, cleaning and recoring. 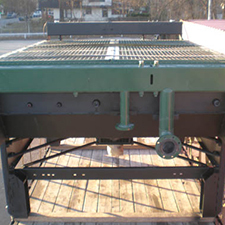 We service heavy duty after coolers, oil coolers, fuel tanks, condensers and EGR coolers. We stock over 6,000 cooling products, from new automotive radiators, ac condensers, charge air coolers and cooling fans. 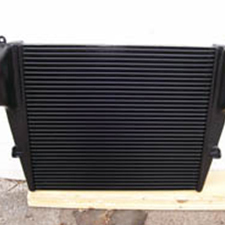 We also stock a wide variety of heavy duty truck radiators, charge air coolers and ac condensers. All makes all models! DPFs & DOCs require routine cleanings to remove build up, soot, and ash that accumulate over the vehicle's running hours. 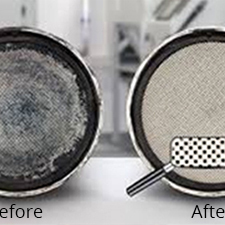 At Kirby's, we manually clean each DPF/DOC to ensure that tough soot and ash are removed from the filter. We are Dallas / Fort Worth's number one DPF & DOC cleaning and servicing shop. We clean all makes and models!